Secretary Perdue has finally announced final the three individualswho will take on the new roles within the USDA. May 11 was the day when Secretary Perdue announced a shakeup in structure at the USDA including the elimination of the Undersecretary for Rural Development. The new structure includes three undersecretaries to focus on different aspects of agriculture as well as an Assistant to the Secretary for Rural Development. 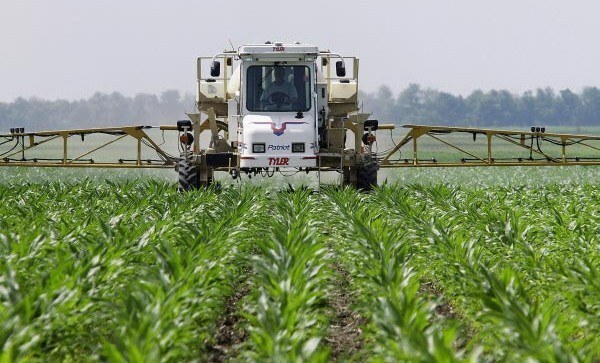 As Dicamba continues to flood the market place, many states are considering have more stringent rules in place to prevent drift and other problems. The subcommittee of the Arkansas Plant Board will be meeting June 20 to decide what they should do about the drift problem after formally receiving 97 complaints coming from 14 different counties across the state. The current proposal in front of the board is to ban in-crop use for 120 days. Concerned producers can reach out to find more information and ask questions. Cattle groups in Spokane, Washington have come together to push through a lawsuit in the Spokane federal court to reverse the March 2016 ruling on Country-of-Origin labeling. The 2016 ruling no longer required imported shipments of meat to be labeled with their country of origin labeling. Finally, in other beef news Canadians can expect higher prices at the meat counter for the rest of 2017. Canadian food experts conducted a study and found that most food inflation would be slightly lower than anticipated, but meat prices could expect to see a 7 to 9 percent jump.